Building a savings cushion has many advantages. Thus, you shouldn’t stop saving money even when borrowing is easy. Check out the article to know how to save faster and the importance of saving money. Money is a vital part of our lives. It helps to fulfill almost every means of happiness. Once you start managing your money skillfully, you will see the reflection on your financial health. Your savings will grow; you can make your monthly bill payments without defaulting on them. Thus, you can build a good credit score. You will be able to secure your financial future. Most importantly, you will gain confidence to announce financial freedom. Remember, a dollar saved at your early age is equal to 10 dollars saved in your late 50s. Yes, you will be able to save more if you start early. Also starting early is not enough, you have to take right financial moves so that your money will grow faster. How can you save money faster with the help of compound interest? Interest doesn't play always the role of a villain, it can be a hero when you utilize it in your savings. To grow money faster, you should take advantage of compound interest benefit. Compound interest is, interest calculated on the initial principal including the accumulated interest of previous periods. Thus, it gives double benefit on your savings. You are actually earning more with time. It helps to grow your deposit at a faster rate than simple interest (Interest calculated only on the principal amount). It also offers interest on top of interest. Thus, your savings can grow exponentially through compound interest. To get the benefit, you need to open a savings account, which offers the compound interest. The importance of saving money is irreplaceable. If you start saving, you will be able to achieve many short term and long term financial goals in your life. Once you start setting aside a certain amount into an emergency fund, you can easily overcome any unwanted emergencies like job loss, accident, illness, unemployment, etc. It will help you avoid borrowing a loan that usually comes with higher interest. Remember, it is important to save 3-6 months of saving in an emergency fund. Saving money for the retirement helps you to enjoy the golden days meaningfully. Not having enough money when you retire can spoil your retirement days. You will have to worry about your living cost. Thus, you should start saving money for retirement days as early as possible. Saving money earlier can help you build a separate savings account to deal with medical expenses in the future. These days, many people are in medical debt. As you age, medical issues are normal; so, be prepared to bear the expenses. Once you start saving, you can manage the costly medical expenses in the future. Remember, the Social Security benefits can become uncertain. It will not disappear fully, but the benefit will be lower in the future. Thus, you have to save money to secure your financial future. Debt is forbidden. You should try to stay away from it as much as you can. If you build a money-saving mentality, then you can easily be able to live your life within your means; and it will help you to save money. And once you start saving money, you don't require to accumulate debt. Great, isn't it? Apart from savings, there are some more important money moves that help people to secure their finances. Remember, saving money is not easy especially when you have so many necessary expenses. Thus, you should follow a budget to analyze your spending habit. A budget helps to understand where the money is going. You can easily understand which expense is less important and can be eliminated. By doing so, you can easily meet your all financial obligations. Reviewing credit score is also important. Sometimes, unwanted mistakes can be there. The error in your credit report can damage your score. Thus, you should monitor your credit score and find out the mistakes (if any). If you find mistakes, dispute it with the 3 major credit bureaus. Take it seriously, because, good credit score helps to get a good rent, better mortgage loan term, and a good job. 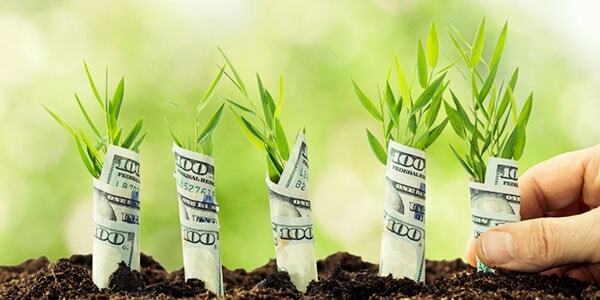 Investment is the key to grow your money. However, you should make proper investments. If you don't have knowledge on this subject, then seek help from a professional. Most of the people hate to pay to Uncle Sam. But it is a crucial thing to ensure your financial well-being. If you don't file taxes on time, you will be penalized by the IRS. Also, by paying the taxes and utilizing the tax deduction, you can earn dollars . Lastly, managing money can be tough and everyone's situation is different. It is not possible to save money all the time, which is absolutely okay. Sometimes, you may go through a tough situation that requires spending more. Don't worry! You can spend money on a cause. Spend money to feel happy. You deserve to feel rewarded; after all, it is your hard-earned money. So, maintain a balance between your spending and saving behavior to live a joyful financial life.